Ski marketing strategy through a startup/SaaS lens. I’ve often been curious to see how savvy marketer/skiers who work in other industries see our sport. Then, a few months ago, I noticed a series of snowboarding photos being shared by Justin Jackson, one of the most well-known names in indie-startup marketing. With a unique background in both snowboarding and SaaS marketing, Justin’s perspective is full of really smart ideas. Gregg: Justin, for those in SaaS/maker/marketing circles you’re pretty well known, but for the resort marketing crowd reading this, give us a quick paragraph about who Justin Jackson is and what you do. Justin: Hi, I run MegaMaker.co (where I help indie entrepreneurs improve their product + marketing) and I’ve just founded a new podcasting startup called Transistor.fm. I’ve been working with SaaS companies since 2008. 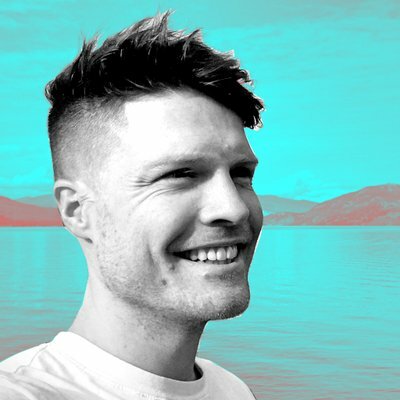 I was the Product Manager at Sprintly and Mailout, and have consulted on marketing & growth for startups in London, San Francisco, Boulder, and Portland. In 2015, I wrote a book called Marketing for Developers. Since then it sold 6,000+ copies, and was really the reason I was able to quit my job. Gregg: But, based on your Twitter feed, you also have some ski ties? Justin: Yeah, incidentally, my first internship out of college was with Olive Snowboards, and I owned a skateboard + snowboard shop in Alberta called The Real Deal from April 2003 – September 2006. Gregg: Let’s fill out the snowboarding side of this story a bit, What took you toward SaaS and away from snow? Justin: When I was running The Real Deal we got caught in a recession. Retail spending in Alberta went way down. This was also when big brands, like Quicksilver, were opening their own retail outlets. Plus, big retailers like West49 were moving into town. We just couldn’t compete. A lot of independent shops closed around that time. Gregg: A tough stretch for sure. What came next? Justin: After the shop closed, I kept running events and snowboard camps for teenagers. Every winter, we would do a handful of trips to Jasper, and then one big trip somewhere in BC. We’d pick a mountain, Kicking Horse, Silver Star, Kimberly, Fernie, Big White, and we’d go for 3-5 days. Those were fun trips. In 2008, I decided to get “a real job.” I had my degree in business, and I’d always been into computers, so I started working for a tech startup called Mailout. That’s where I got really involved in Software as a Service (SaaS). Gregg: What did that move mean for your relationship with the snow? Justin: After I had the office job, it was harder and harder to make it to the mountains. We had young kids, and so I’d take them to the local hill, but it just wasn’t the same. I started dreaming of living in the mountains; close to a resort. It took years of finagling, but in 2012 I finally convinced my boss to let me move to Vernon, BC and work remotely. We’ve lived here ever since. We live in town, but it’s 20 minutes to the chairlift. As a prairie boy, it feels like I’m living in a dream. Gregg: That’s awesome. You’ve done an incredible job of branding yourself (seems everywhere I turn I see your face; MicroConf, Indiehackers, etc.) and Tiny Marketing Wins focuses on the small and simple, is there a common thread there that guides your marketing approach? People first: I start by focusing on a specific group of people I want to serve. Whether it’s retail, my books, or software, I want to have a good idea who the group is, where they hang out, what they’re struggling with, and what they desire. Start Now: Iterate in small increments. When I started blogging, I wasn’t trying to be perfect, just put out a new post every week. When I started podcasting, I just spoke into my iPhone. Folks who set out to make something big and perfect never ship anything. Be different (and a little weird): People get thousands of messages a day. You have to rise above the noise. The only way to stand out is to do things differently. My book, Jolt, is about this very thing. Gregg: So, given that lens, when you look at the ski resort marketing through that lens, what do you see? But you’re going to get a bunch of different options. Gregg: So how could resorts improve, then? Any ideas floating around in your head? Justin: Give folks an interactive checklist that helps them see if your resort is right for them. You want to help the person searching for answers make progress. What are they struggling with? what’s holding them back? what obstacles do they have? What do they desire? 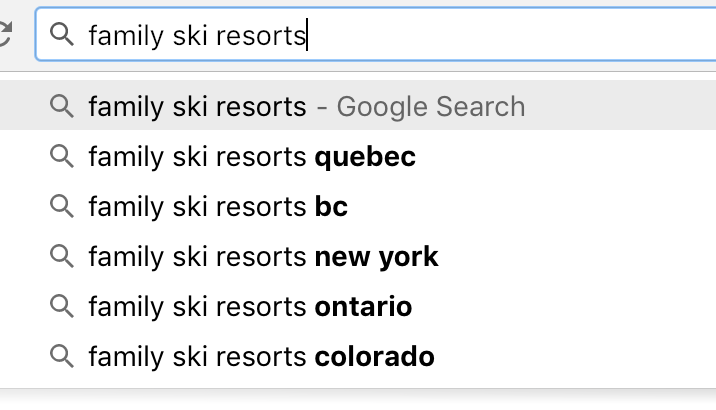 what’s their dream of a great ski vacation? How do you help them overcome the obstacles to achieve their dream vacation? Gregg: Talk a bit more about that. How do those pieces intersect? Justin: Folks should check out the Jobs to be Done framework (Clayton Christensen’s book, Competing Against Luck and Alan Klement’s book, When Coffee and Kale Compete are places to start). Essentially, people have jobs in their lives. For example, a mom wants to give her family a big treat because she’s just gotten a big raise. Ski resorts might think that their competition is “other ski resorts,” but it’s actually anything else a family might spend their money on. Gregg: I’d imagine your business and off-snow life puts you touch with a lot of non-skiers. Any thoughts on how that applies to growing skiing? Justin: The same goes with whether non-skiers become skiers. You have to ask: what are they looking to accomplish in their lives? How do they want their life to be better? Skiing is very social. If your peer groups skis, the likelihood that you’ll ski goes up dramatically. Non-skiers have tons of anxiety around learning how to ski (example here). You need to get non-skiers to their “first win” as quickly as possible (and reduce their anxiety!). Gregg: Good stuff, Justin, and very well said. Any final thoughts? Justin: I’ve been thinking a lot about what makes marketing good, and what makes it bad. Good marketing: reduces friction and anxiety, and helps move the customer towards a good experience. Anyplace you can stand out is marketing. You might have a stellar mountain with the most snow, best lifts, etc., but how you onboard the customer and support them before, during, and after the sale is where you really stand out.